4 1/4" Blade of 3/32" 15N20 steel. 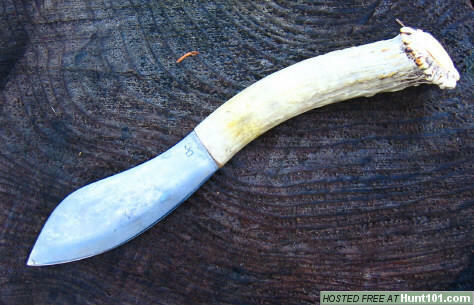 Handle is whitetail Antler. This design was popular in the 1800s. Makes for a great slicer with it's thin razor sharp blade.Can be used from the kitchen to the woods. I can make a knife like this for $150 ,includes a Custom leather sheath.